I moved to a Camden Fallsgrove in Rockville, Maryland in 2015. As someone who does not always embrace change, I was terrified, and worried that I would hate my new city. I formerly lived in Fairfax, Virginia at Camden Fair Lakes and loved every bit of it. This new city is the closest thing to Fairfax that I could find in the state of Maryland. Little did I know that 4 years later, I would have a profound love for my home and welcome so many people to check out all the amazing things that Rockville, and Montgomery County have to offer. One of my favorite places to go in the area is the Rio Washingtonian shopping center. 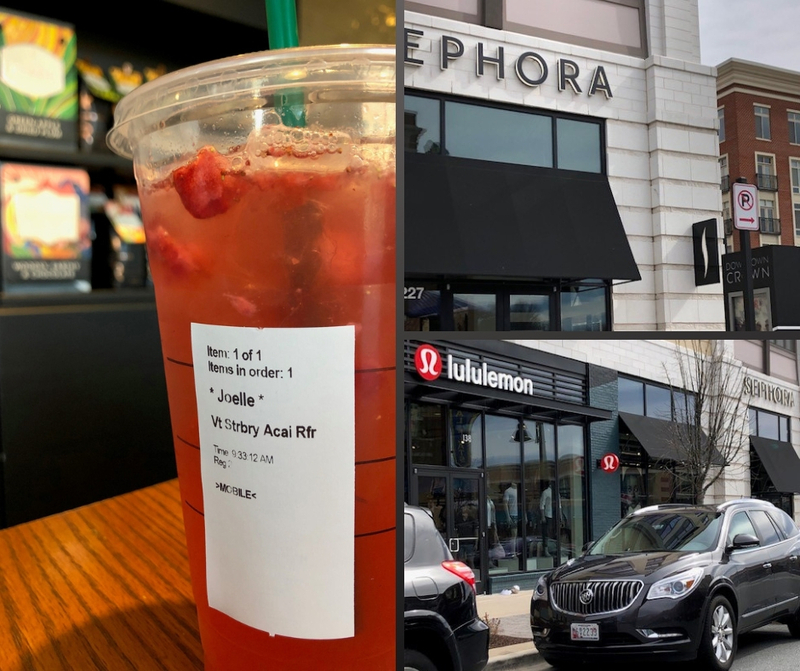 If you did not know, Camden Washingtonian just opened in 2018, and is walking distance to amazing retail such as Target, Dicks Sporting Goods, Barnes & Noble and Kohls, not to mention dining and entertainment. AMC theatre has recently been remodeled featuring a full bar and dinner menu as well as reserved seating. Dave & Busters will be opening later this year as well! Most mornings on my way to work at Camden Shady Grove, I stop at my favorite Starbucks in Downtown Crown. This upscale shopping center has a variety of retail stores such as Sephora and Lululemon. Grab a beer at Old Town Pour House or enjoy delicious seafood at Coastal Flats. I love the cheesecake at La Madeline. It’s fun to hear the stories from Camden Shady Grove residents about how they walk their dogs to Downtown Crown and sit outside on the benches to enjoy the atmosphere. 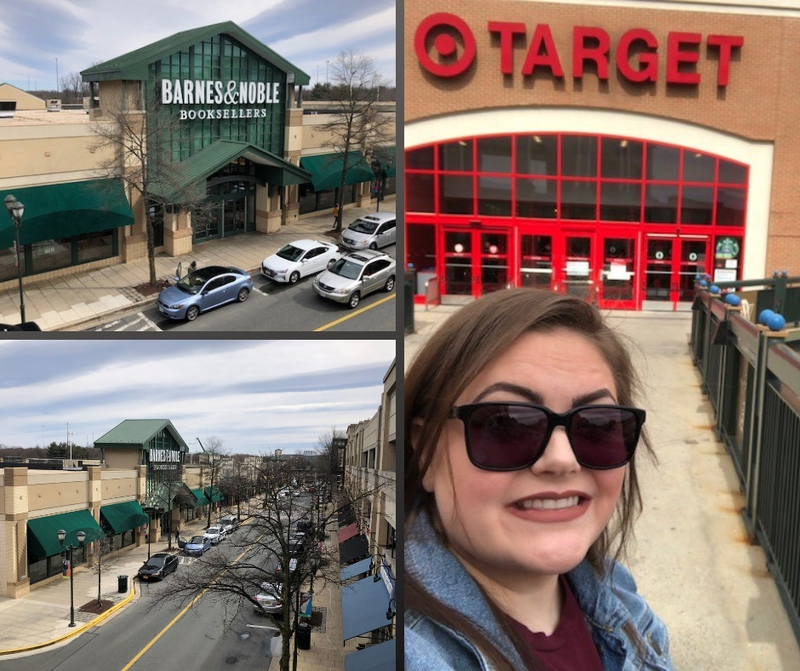 My other go-to shopping area is the Kentlands. I have an art journaling and scrapbooking hobby , which makes Michaels an essential store I need close by. At Home, a huge store filled with home décor, was just added. This is the perfect place for apartment décor shopping! Chick-fil-a is an office lunch favorite, and this location conveniently offers curbside pickup. You will love the bread and dip from my favorite restaurant, Not Your Average Joes! The most amazing thing that happened in 2015 was my discovery that I love watching women’s soccer. Finding out that the Maryland Soccerplex is a short drive to Boyds, MD which was great news to me! 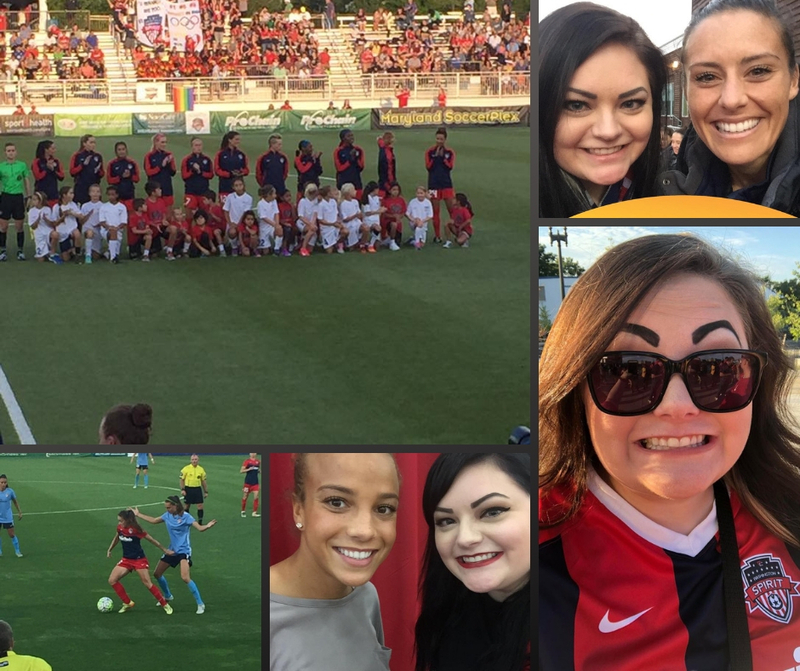 The National Women’s Soccer League (NWSL) team the Washington Spirit, plays their home games at the Plex. I have been fortunate to be a season ticket holder since 2016. Most of my Saturday nights are spent watching these amazing women play professional soccer while enjoying a slice of Paisanos Pizza and a Diet Coke. 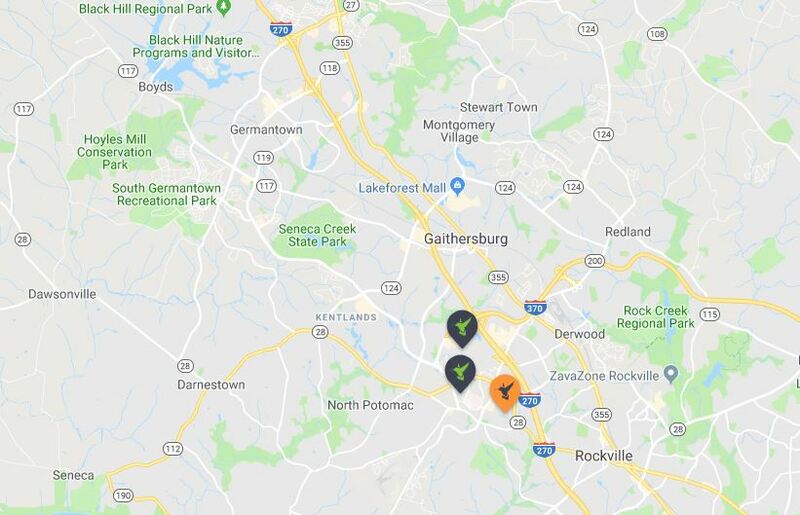 Are you ready to move to Rockville? 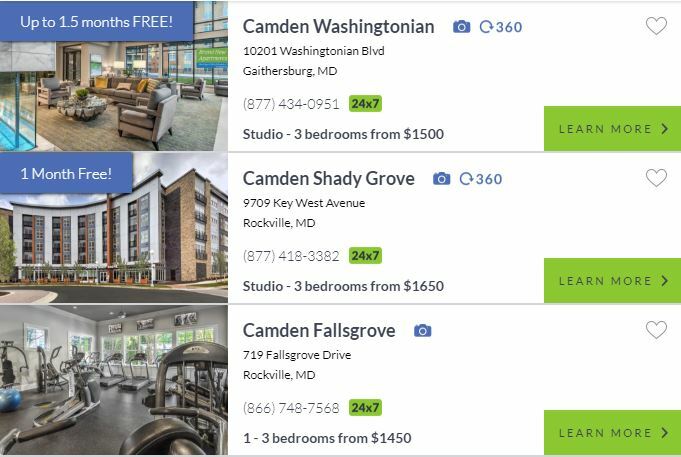 There are 3 Camden communities to consider: Camden Shady Grove, Camden Washingtonian, and Camden Fallsgrove. Each have unique features, but all are a great place to call home. What are you waiting for?